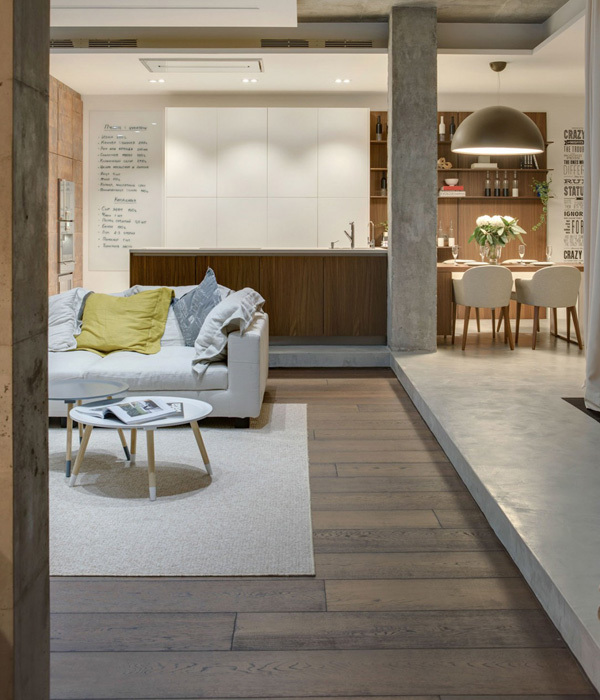 Who will say that an apartment can be as comfortable as a private home, too? Yes, indeed our featured apartment of today proves that it is not impossible to experience privacy and serenity in an apartment type house. Well this house is named as the Oh! 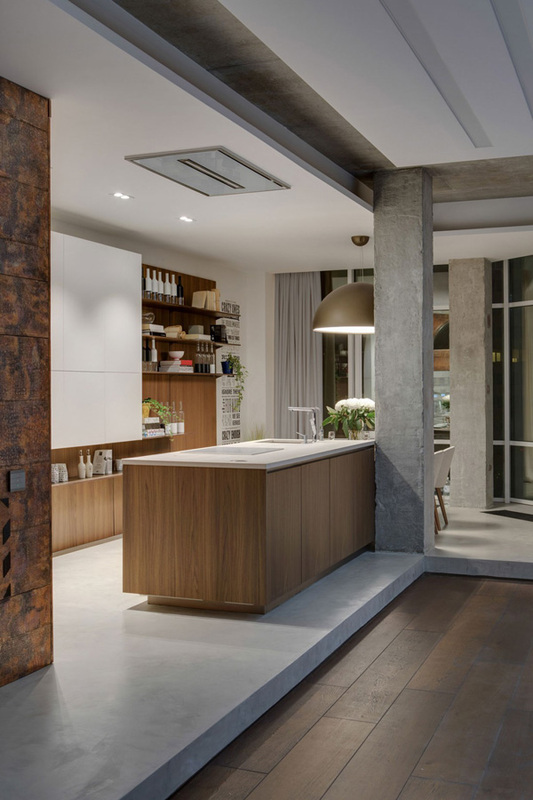 Dessa Apartment which is specifically located in Odessa, Ukraine. This is said to be a stylish private home that obviously got his name from its location. 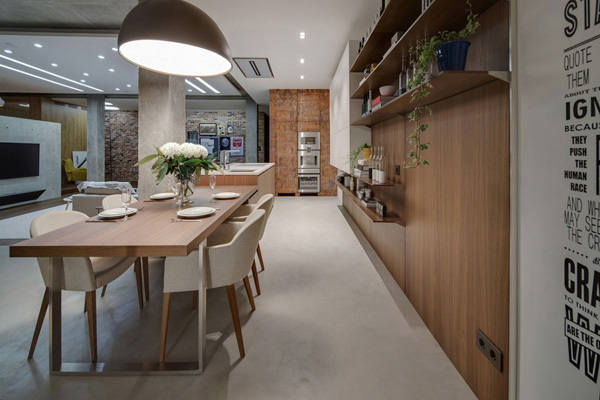 Spotted in the Ukranian City of Odessa, this apartment has an area of 1,938 square feet. 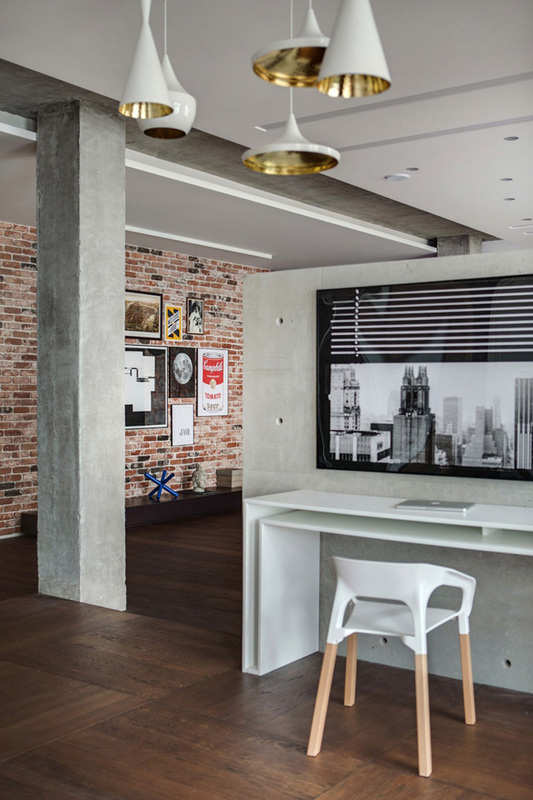 This apartment has a well-organized layout. With that the amazing and elegant appliances can be arranged in its designated places. 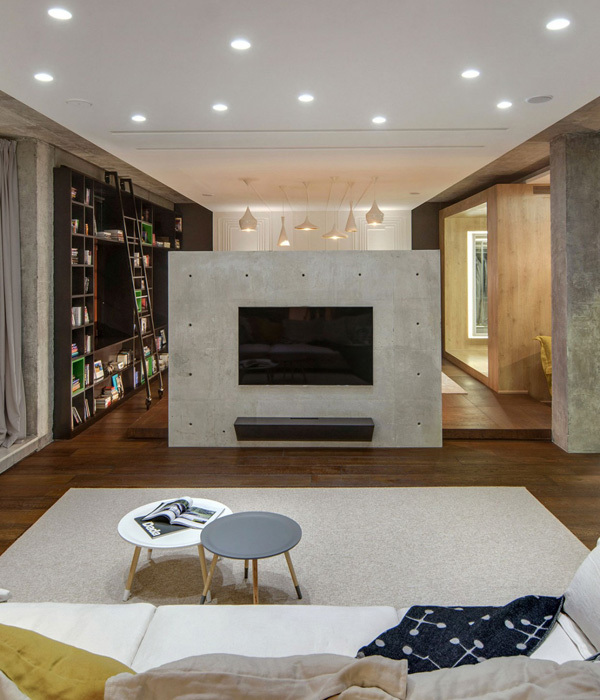 We can see how the designer maximized the spaces to have all the furniture fit in. Let us scroll down the page and see more of the functions of the house through the images below. Shapes and figures of the furniture and the house structure are emphasized by the LED lights in the ceilings. 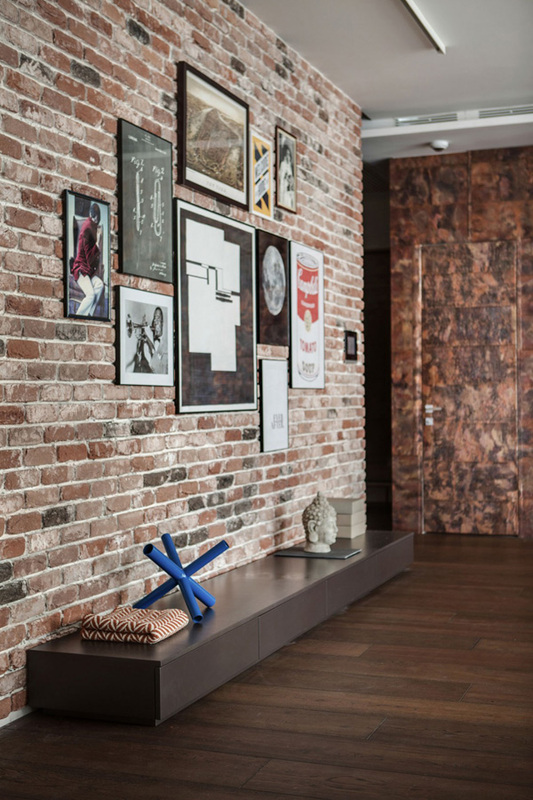 The designer presented the two contrasting textures here such as rough and smooth from its walls and floors. 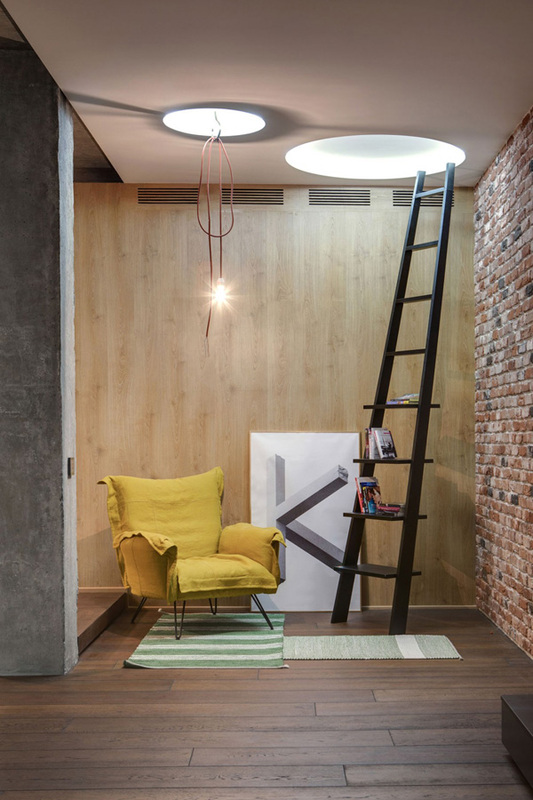 A quiet and artistic area in the apartment that offers comfort and charm. Rough textures of the walls jives with the wall arts and designs placed here. Clean and trendy kitchen is carefully observed from here that offers neat and stylish concept. In line with the kitchen is a classy and elegant dining space with its unique lamp here. 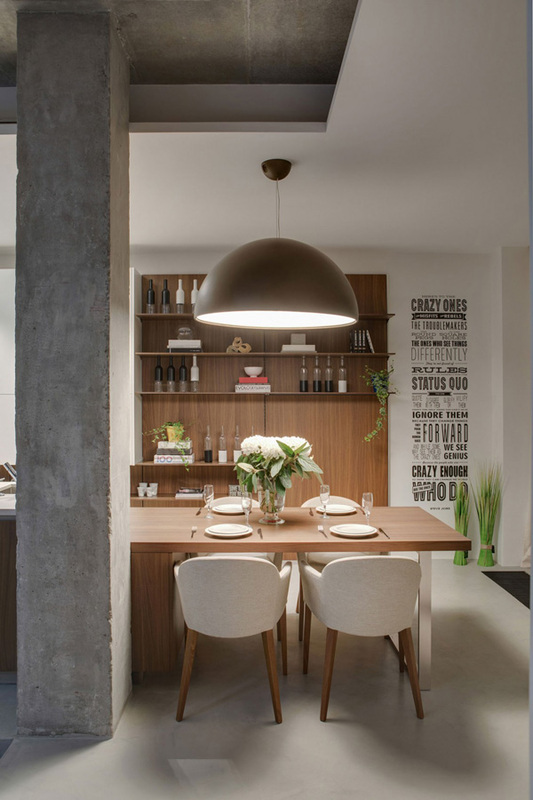 The beige chairs is also blended well with this wooden dining table. Built-in bookshelves also serve as an attraction in this simple bedroom. Soft and light beige color of the bed sheets perfectly jives with the color of the paint in this bedroom. A spacious bathroom is accentuated with this trendy accessories and fixtures. 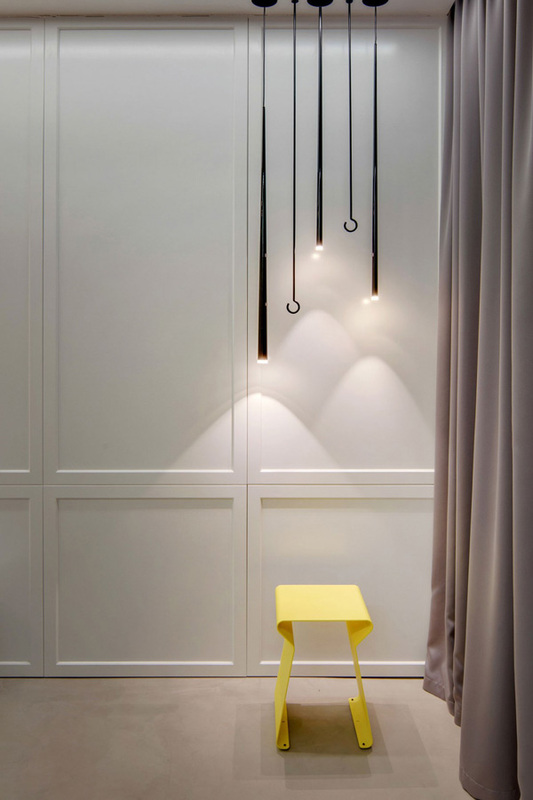 Exceptional designs of this lamp is highlighted in this white walls as well as the yellow chair. 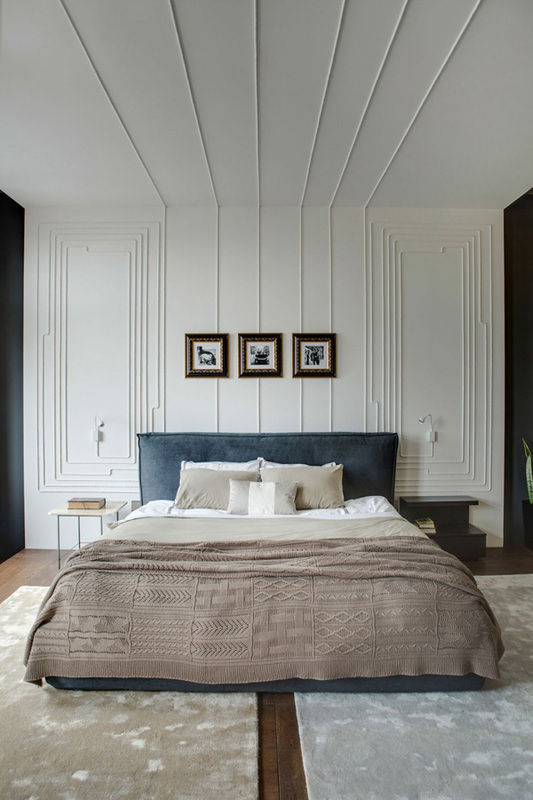 The color and textures of the walls and ceilings harmonized with the bed and carpet here. A transparent and glassed bath tub is used in this bathroom that also emphasized its luxury and charm. 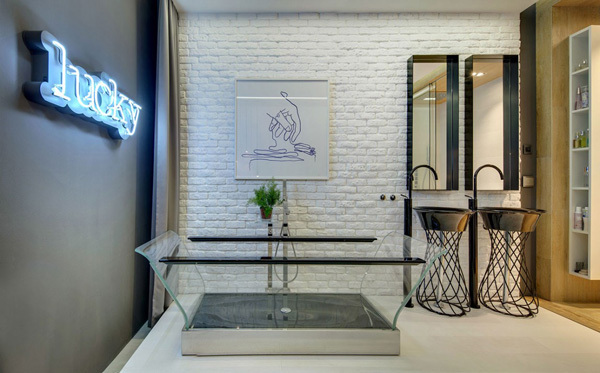 A glassed and transparent sink in this powder space is enough to maintain its modern concept. Extraordinary lamps hanged in the ceilings can also make this apartment unique and classy. 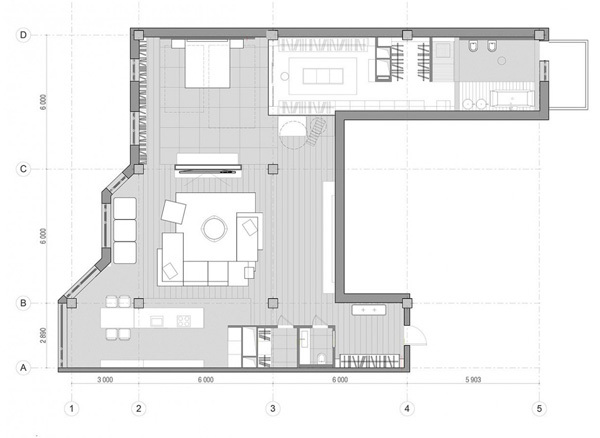 Here is the Sketch Plan of the house. 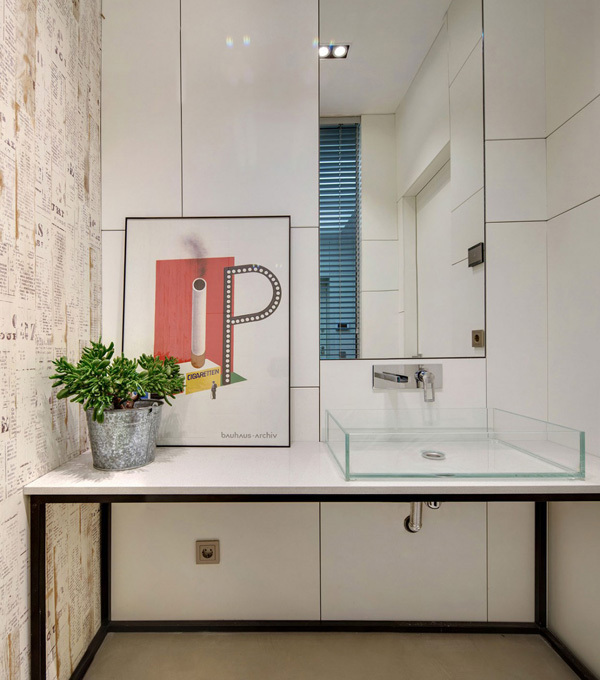 As we were amazed with the functional designs and stylish accessories found in the apartment, we can say that the designer successfully achieved the goal that the client is wanted for his home. There is a great combination of color and shapes from its furniture to the artistic accessories here. We can say that the 2Bgroup can undeniably plays the elements, structure and concept in this apartment that basically creates a very intimate and private space in the house. We may recommend you to utilize some of the features of this apartment in your own house, too.